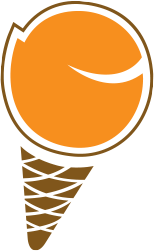 Hotel Gelato | Stay for Dessert - Hotel Gelato supports our local community. Questions? Comments? Ideas? Special requests? Drop by or drop us a note – anytime. *Has Hotel Gelato sponsored this event previously? *How will Hotel Gelato's donation be awarded? *What type of exposure will Hotel Gelato receive? Hotel Gelato will solely determine the amount of sponsorship if, any. I agree to the terms of this sponsorship request and understand my responsibilities in fulfilling all obligations if this event is chosen for sponsorship. © 2019 Hotel Gelato. All Rights Reserved.